One in every three smokers in the world lives in China. A tobacco museum sings the praises of the cigarette. The great Mao Zedong? Smoked handmade cigars of his own brand. The brave soldiers who fought the Japanese? They couldn’t have done it without having a soothing cigarette in between battles. Or what about Lu Xun, one of the great authors of modern China? ‘Tobacco accompanied him on even his hardest of days,’ reads the caption under a photo of Lu, who died of an unspecified lung illness in 1936. Photo of Mao Zedong, first leader of the People’s Republic of China, smoking. Deng Xiaoping smoking his favorite Panda brand cigarette. The Tobacco Museum of China, in Shanghai, has all these great men on display to underscore one clear message: Smoking is part of great culture. Smoking is a rich, Chinese tradition. Smoking brings in a lot of money for the state. Smoking has always been a vital part of the lives of heroes, enabling them to reach the heights for which they are revered to this day. 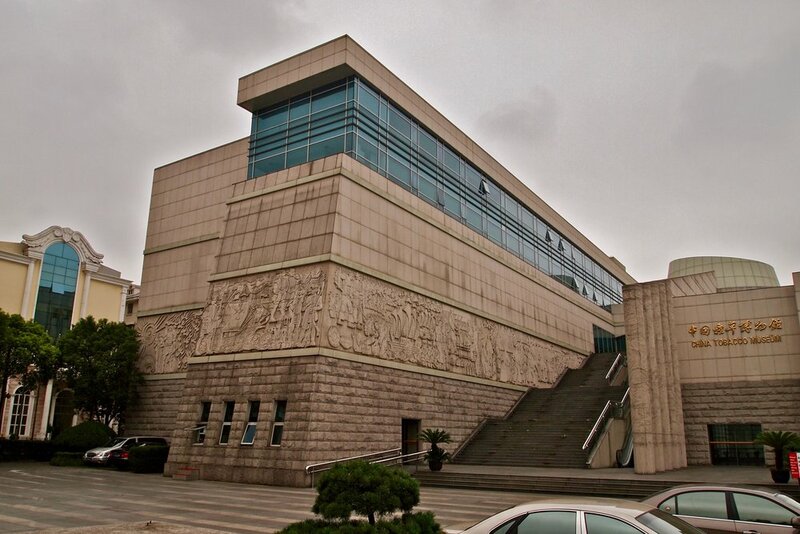 The government has labeled the Tobacco Museum in Shanghai, the world’s largest, as ‘advanced, patriotic destination for the education of youth.’ That means the museum will start to welcome loads more of school children. That worries researchers at the highest educational facility in Shanghai, Fudan University. They published a critical review of the museum, saying it is nothing more than a badly veiled promotional vehicle for the tobacco industry. It’s indeed quite difficult to find any information on the darker side of smoking in the museum. A relatively small display in a room on the second floor points out smoking can be damaging to your health. However, the text then immediately emphasizes the advanced achievements of the Chinese tobacco industry in lowering the amount of tar in cigarettes. The researchers at Fudan University asked middle school students their opinion on smoking both before and after they had visited the museum. Before, 83 percent said they thought smoking was mostly bad for your health. Afterwards, only 49 percent of them was still convinced of that. Anti-smoking activists have appealed the government to remove the honorary label for the Tobacco Museum. Their appeal has so far fallen on deaf ears, although the authorities did ask the museum to devote just a little bit more of the overall exhibition to the dangers of smoking. An estimated 350 million Chinese smoke. They form one third of all smokers globally. 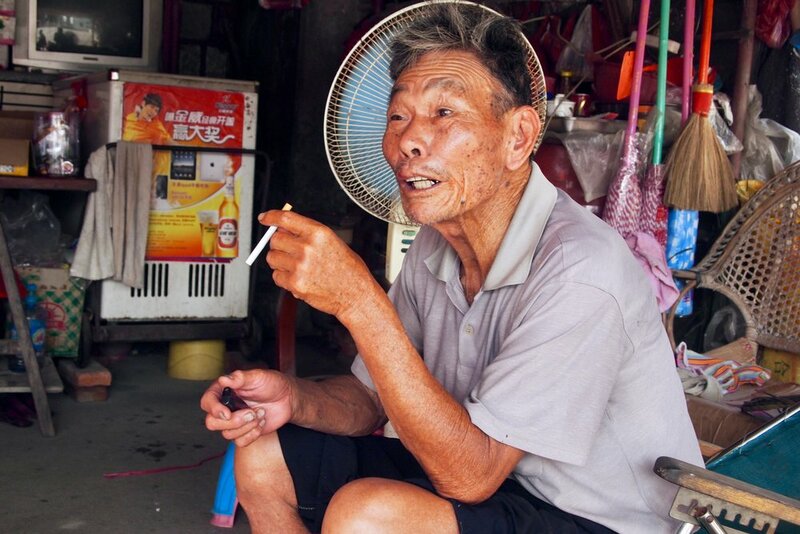 Each year, a million people in China die from smoking related diseases. That number is expected to double in ten years. Shanghai, in many aspects the China’s most advanced city, was the first to enact a tough anti-smoking law. Lighting up would become illegal in restaurants, public buildings and in schoolyards. As often, the new rules were hardly enforced and had little effect. Another hint that makes it unlikely smoking will be on the way back anytime soon in China: the national campaign against nicotine addiction isn’t run by the Ministry of Public Health, but by the Ministry of Industry. That’s the same department which controls the nation’s tobacco companies.